There was a body of knowledge and skilled people who could treat wounds even if the success rate was not as good as today. 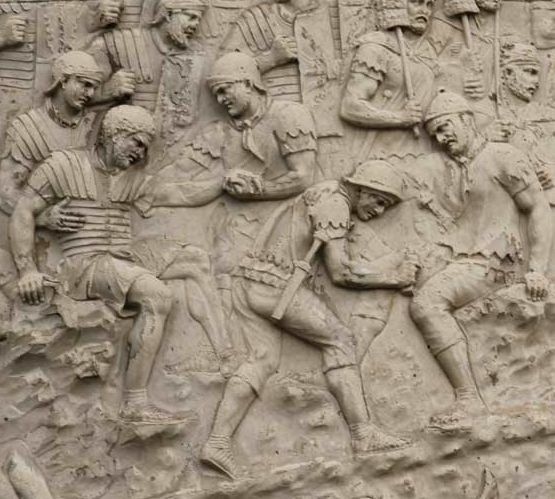 The Roman army had a medical corps with relatively advanced technique. Recent study of medieval skeletons have revealed extreme wounds that have successfully healed.Superstition often played a role in healing such as the Greek myth of Telephos. In the header picture on this page Achilles heals Telephos' spear wound with fragments from the weapon which did the damage: an example of sympathetic magic. 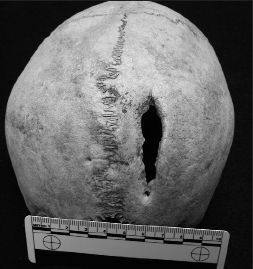 Immediate treatment of wounds is rarely discussed in any text from the Viking Age. Men must mostly have relied on friends to aid them. The organisation of warriors into sodalites or guilds may have guaranteed members help from the others if they were injured. But what could be done was limited if one was seriously injured. SUTURIING - was available using thorns carried for the purpose. A clean cut - even a big one - could be closed with these. Sloe thorns from Illerup Ådal. Herbs and poultaces could stop bleeding and have antiseptic effect. Various pain killing concoctions were known. English medical texts known as 'leech books' exist and indictae a good knowledge of herbal medicine. We stil have plant names such as 'Wound Wort' and 'Soap Wort' which indicate medical properties. 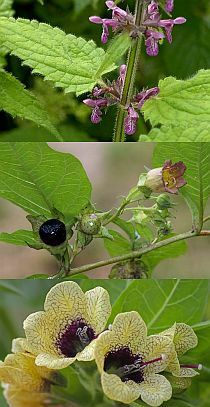 Deadly Nightshade, Henbane, Valerian etc. were well-used medicines with many applications. 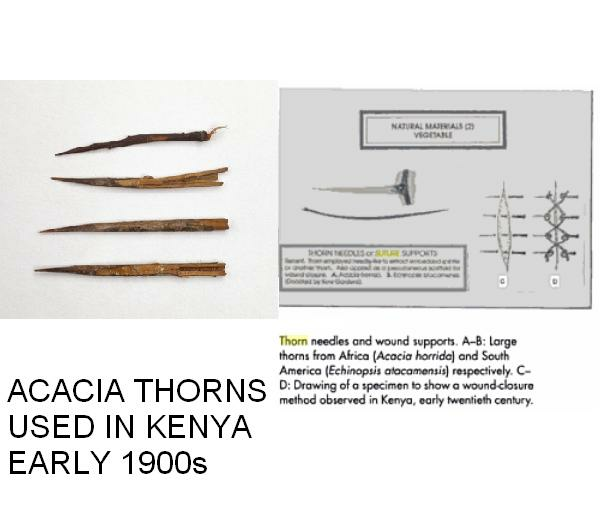 Once a wound had been closed and bleeding stopped such medicine would have been used to overcome pain and infection. Luckily for them, ancient warriors were safe from the useless application of homeopathy, ayurveda or reiki, which had not been thought-up yet. 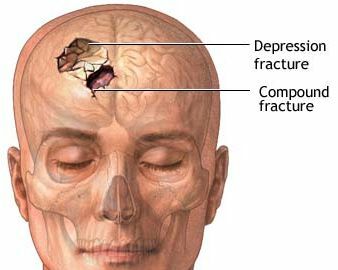 Depressed fractures of the skull have been treated since prehistoric times with trepaning. 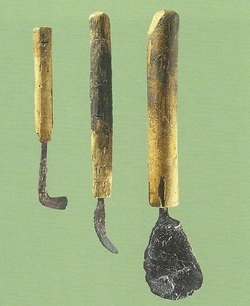 We know that knowledge of the technique was present in the Roman Iron Age in Scandinavia - there is a set of tools from Illerup Ådal - and so was probably available in the Viking Age. 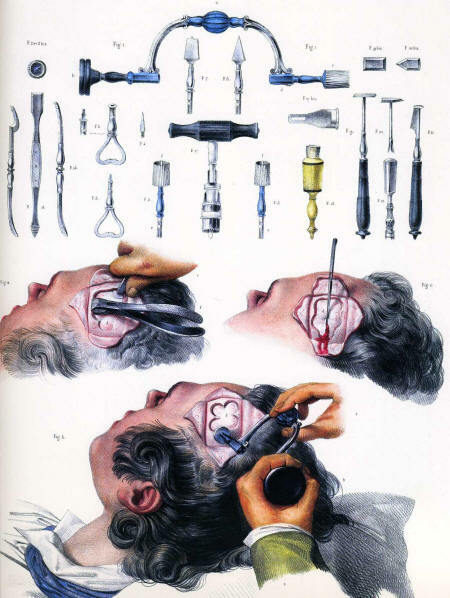 Depressed frcatures press in on the brain and trepaning relieves the pressure. Whether by chance or from careful treatment, we have evidence that people could survive substantial injuries. In the huge early to mid-medeieval graveyard at Ardeigh Co. Kildare, Eire there are many examples of skeletal remains with healed wouds. We can end on a positive note that things could go well after injury. Horrendous sword-cut across the brow of a 30 to 45 year-old man. The wound healed but would have left an impressive scar. 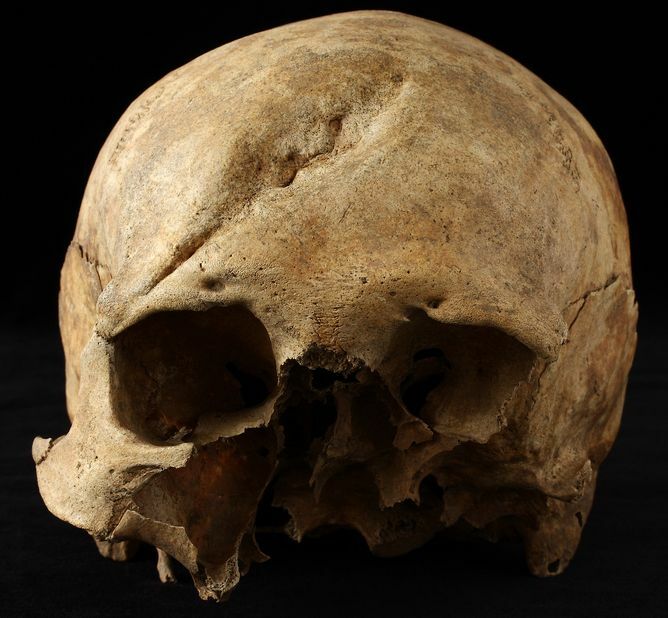 Axe wound in the skull of a man older than 50 years. This wound has healed a long time before death, maybe sustained in his younger more rowdy years. 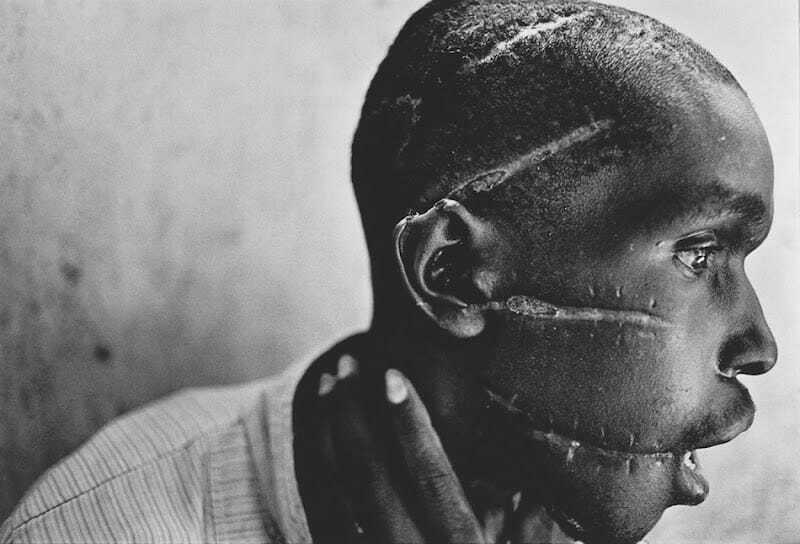 This unfortunate - or, maybe, fortunate - survived a panga attack. Several good slashes to the skull but he survived. Modern antibiotics probably helped a lot. Some are mine but I plunder the internet in good viking style. If you find your picture used here I will remove it if you want.